Make Sharon have 3u like John’s 3u. 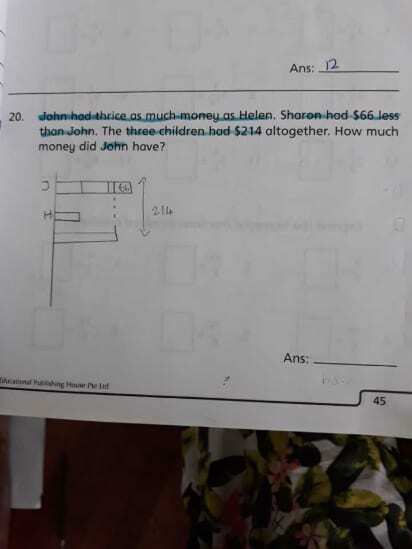 Helen has 1u. Top up Total 214 with 66 (Sharon has 66 less than John).